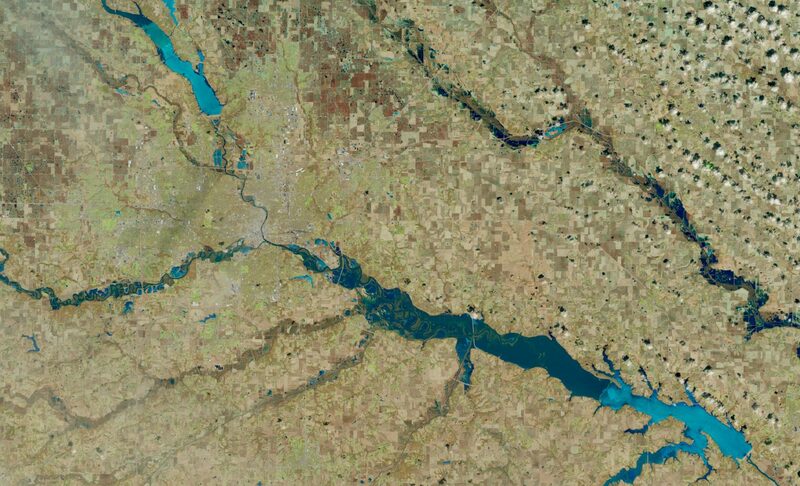 Today’s Image of the Day from NASA Earth Observatory shows flooding across Iowa in the aftermath of the “bomb cyclone” that also devastated parts of Nebraska. The intense weather system brought warm air, high winds, and heavy rainfall to land that was covered in snow and waterways that were covered in ice. According to the Omaha World-Herald, massive ice sheets were lifted up and broken into huge slabs that clogged together downstream, ultimately forming ice jams that were up to several miles long. 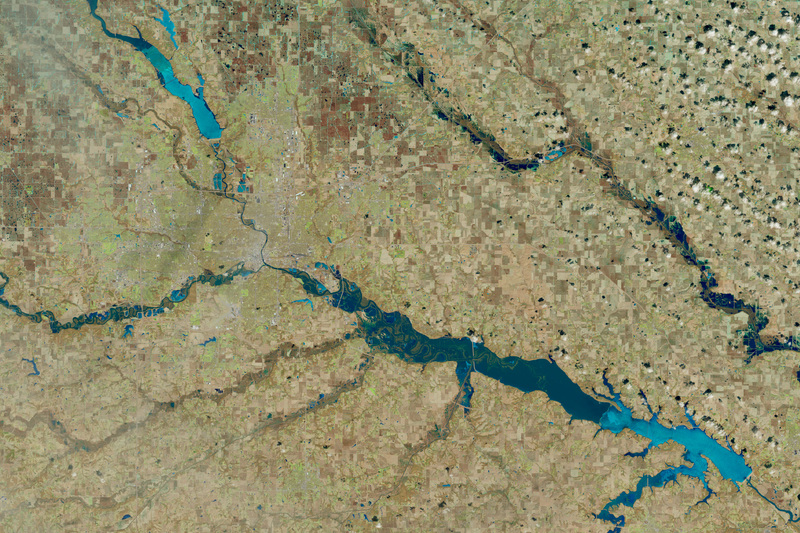 This image was captured on March 18, 2019 by the Operational Land Imager (OLI) on Landsat 8 over Des Moines, where large amounts of water and ice had backed up behind the Saylorville and Red Rock dams.